​The main thing we hear from property owners is that they simply want to guarantee an income without the daily hassles of being a landlord. We take away all of the stress from your rental property and provide a service that's a quick, easy and profitable solution for you. Because we specialise in providing homes to professional tenants in high-quality shared houses, we'll rent the property from you and manage it on your behalf at no extra cost to you. Got questions about any of this? Visit our FAQ page to find the answers. How much more could you be earning? 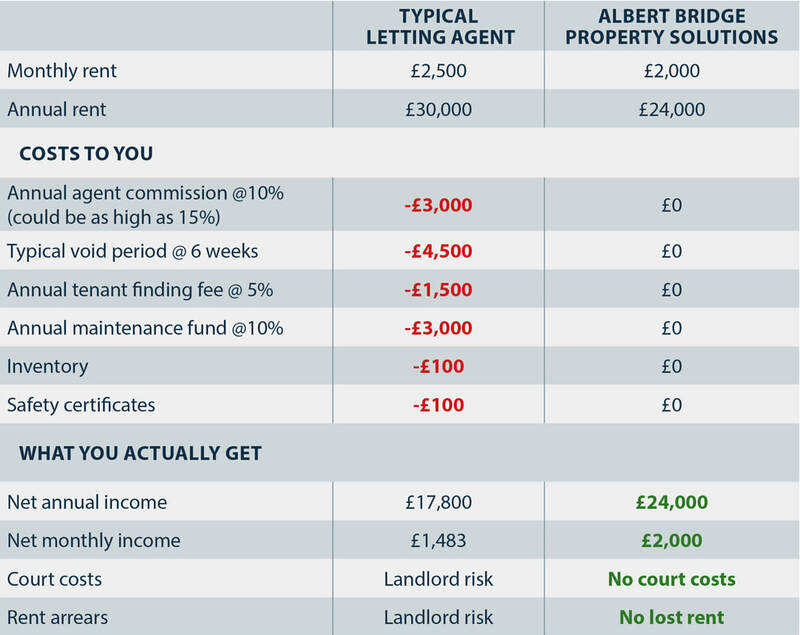 ​So you've found a letting agent that you're comfortable with or one that offers an HMO management service. That's great, but what about the fees and charges they ask for? When we say there's no fees or charges we mean it. The rent we agree with you is what you get paid on the same day every month. for inventories and deposit protection. worry about the risk of rent arrears or court costs. Move away from the unpredictable and get the guarantee you deserve. If you're ready for reliable rent every month without the hassle, it's time for us to talk. Call us today for a free no obligation chat or to arrange a free valuation on 020 8242 1758.